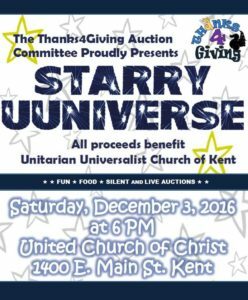 The church’s annual Thanks4Giving Auction is this Saturday, at 6 PM at the United Church of Christ, 1400 E. Main St. in Kent. Tickets will be available at the door for $20 each. Please join us for an evening of fun, food and good company. You can preview the catalog and note which of the fabulous offerings you would like to bid on. Click here for the catalog preview. 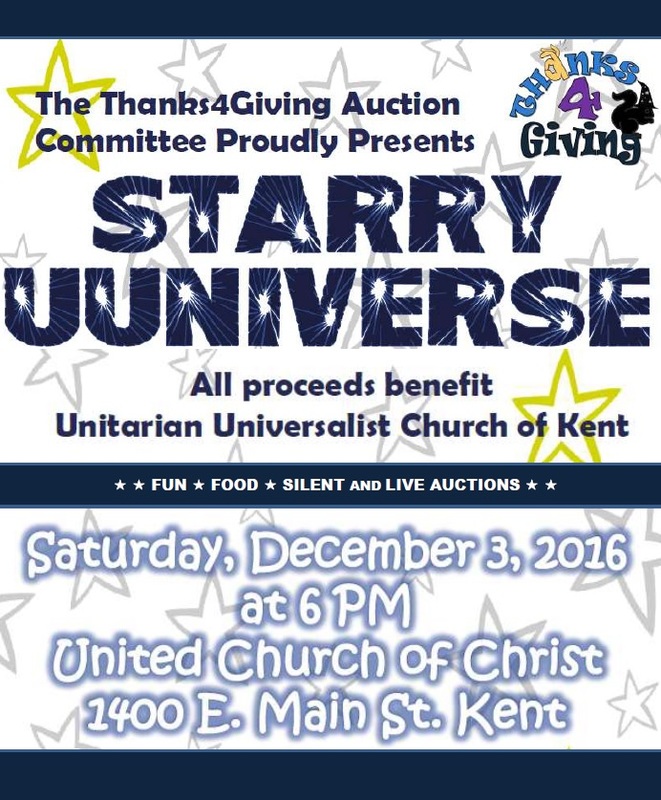 For those who cannot attend, we encourage you to find a friend who will be attending to act as your proxy bidder. Or contact Lois Weir at [email protected] for help in finding one. Please bring your auction donations to Fessenden Hall this Friday, noon to 8:00 P.M.